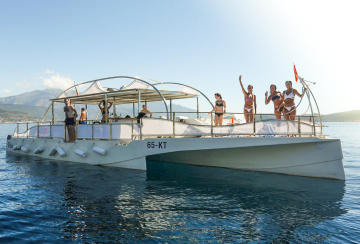 Budva, with its several large sandy beaches, numerous hotels and amazing nightlife, represents the capital of Montenegrin tourism. Population of this not so big municipality is around 20.000 people, while in summertime it’s been visited by many, many more. 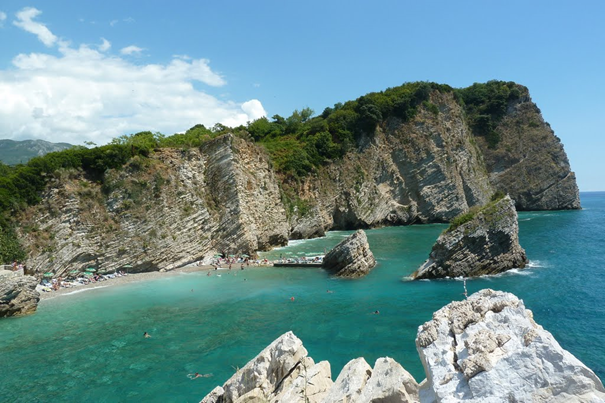 The most attractive places to enjoy swimming are Bečići Beach, Slovenska plaža Beach, Mogren and Jaz Beach, while there are countless so-called “pocket” beaches such is Reževići, Queen’s Beach, Galija and others (to some of them you can only approach by boat). 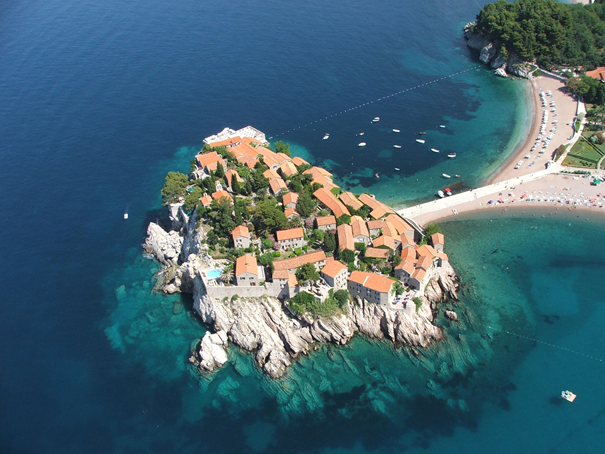 This island is the biggest in Montenegro, and at the Southern part of Adriatic Sea. 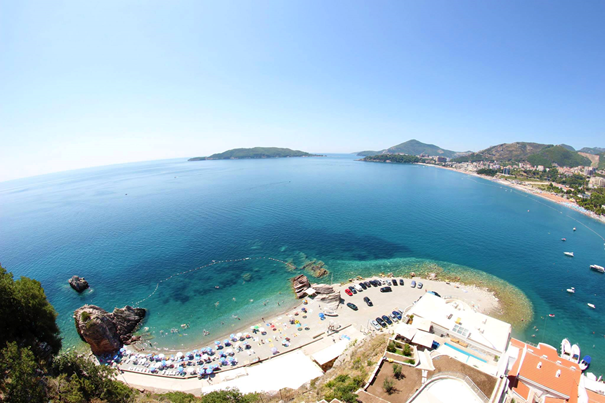 It’s located right across of the Old Town of Budva. 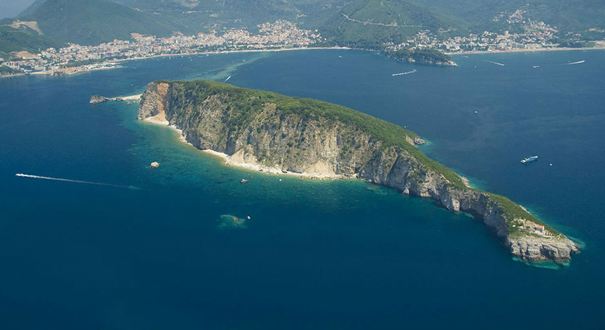 Its length is 2 kilometers and its geographical position closes Budva Bay, and from it to the Slovenska Beach provides the shoal, which is, when tide is low, only 0.50 m deep. For this shoal there is a legend that St. Sava heading for the holy mountain of Budva, he could not board the ship because of the big waves, so he threw a few stones and made shallow by which transferred and boarded the galleon. On the island there is a church of St. Nicholas after which the island got its name (first mentioned in the 16th century). The church is surrounded by a large number of old graves which legend says that the participants were buried crusade that has befallen the epidemic while camped in Budva. 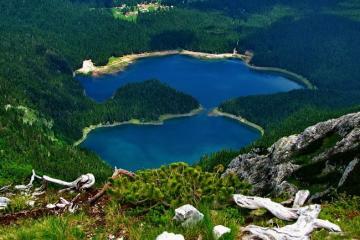 This peace oasis is covered with lush Mediterranean vegetation, mainly coniferous trees. Is a true bird empire, and is rich in small game. St. Nikolas (or popular Hawaii) is not populated at all, but in summertime it’s pretty crowded with tourist eager to swim in clear water, closer to the open sea. Good taxi-boat connection is established to the island and back, so there is no hard work getting there. The most important cultural monument is, of course, the Old Town of Budva with the church of St. Ivan, Our Lady ”in Punta” , the church of St. Sava the Consecrated (15th century) and the church of Holy Trinity built in 1804. Not to forget The Citadel, the town’s fortress on the rocky elevation in the southern part of the town. It has been destroyed and rebuilt several times, while this appearance in the first half of the 19th century, at the time the Austrian rule. Today, the CItadela is made use of for the summer “Theater Town” festival. Urbanization of the Old Town took place toward the end of the 15th century, at that time the town wall were erected. 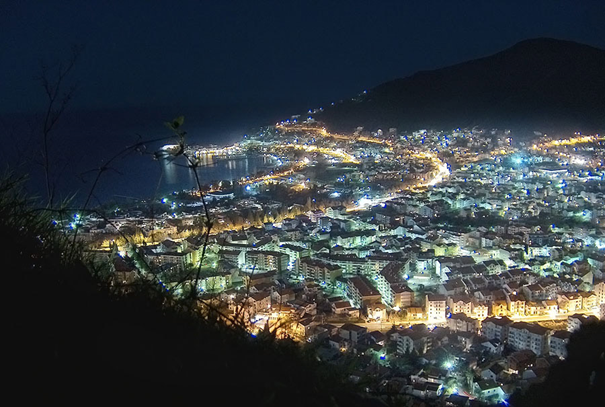 The urban structure of Budva consists of narrow, winding streets, and small squares – piazzetas. The roof are tiled, which is characteristic of the Mediterranean architecture. The life in the town was regulated by the Statute which is a testimony of its independence through ages. It received present-day appearance after major earthquake in 1667. When digging the foundations for the construction of the hotel "Avala" (located just across the Old Town’s Main gate) from 1936 to 1938 there was discovered several graves from the Hellenistic and Roman periods in which he found precious material - especially gold and silver jewelry, various containers, glass, ceramics, weapons. Studies have continued twenty years later, and especially after the earthquake 1979. The necropolis consists of two parts, the older belonging to the Hellenistic period from the 4th to the 1st century BC, and later belonging to the Roman period, 1st and 2nd century AD. A total of 450 graves and it is assumed that the necropolis was in use for more than a millennium. 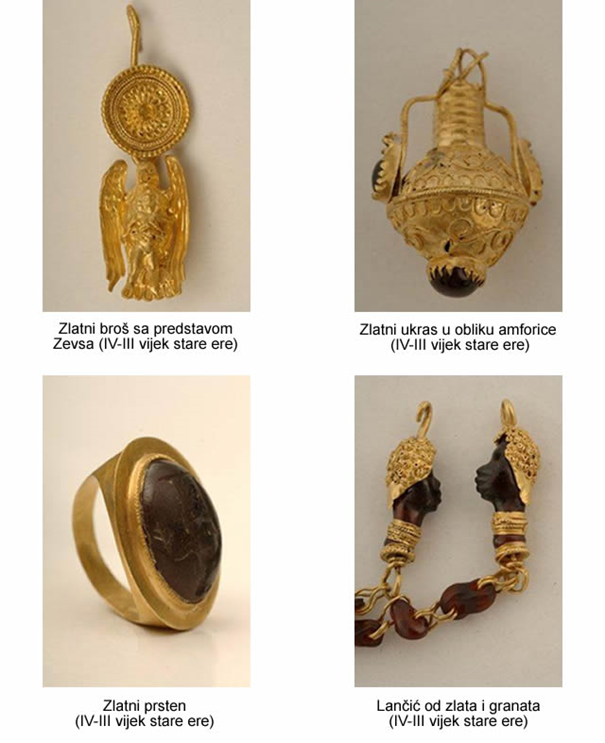 In addition to the Museum of the City of Budva, findings from Budva necropolis, especially those found in the period from 1936 to 1938 are today in many other museums (Cetinje, Belgrade, Zagreb, Split) as well as in private collections. St. Stefan was built in the 15th century on a small, rocky island, as a shelter of the local citizens running away from Turkish invasion. The town-fortress was built by the rich booty the Paštrovićs took from in their attacks on Turkish ships in the battle near Kotor (Imagine how much treasure were there on Turkish ships when the winners could built entire fort on the island!). 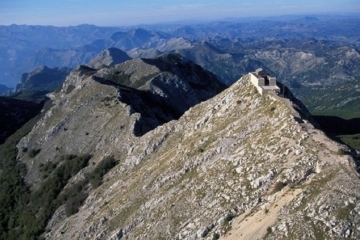 The settlement was named after the church devoted to St. Stefan, located on the most prominent cliff and it was erected by Serbian dynasty of Nemanjić, few centuries before the town was built. Most of the time, this rocky island was a fisherman’s village, but, in recent times, the island was linked with the land by an isthmus. In 1955 It’s been turned into a luxury Town-Hotel, and now it is a symbol of quality and exclusiveness of what Montenegrin tourism can offer. Entrance for non-guests is not allowed. 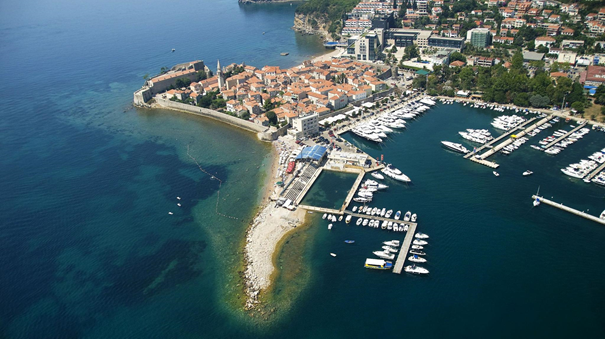 Budva is considered to be one of the oldest settlement on the Adriatic Coast, with a vast archeological evidence suggesting that it had developed into an urban area as early as 500. BC. The existence of the Illyrian tribe at that time confirms even a description in one of the plays of famous Greek tragedians, Sophocles. 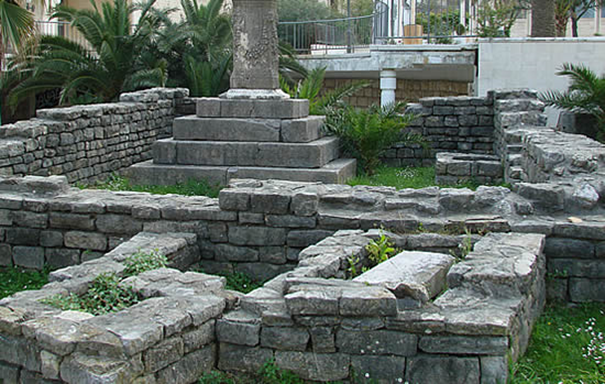 The following centuries it has developed into a wealthy Hellenic center and colonized by the Greeks for several hundred years. The prosperity it enjoyed during this period made it an attractive takeover for the expansionist Romans, who gained control of Ancient Budva in the 2nd century BC and ruled it continuously for half of a millennium – until their inevitable downfall in the late 5th century AD. After the Romans, the town came under the control of The Byzantine at the beginning of the 6th century and although this nominally remained the case until the 12th century, Slavic tribes step by step began moving into this area as early as the 7th century and were already well established group by the half of the 9th century. When the town was sacked by the Saracens. As you probably know, the Saracens was the name which Europeans were using for the Arabs in the Medieval Ages. Byzantine Emperor Basil I (867-886) driving the Arabs from the east coast of the southern Adriatic. Testimony relatively fast recovery of Budva and its ascent in the 9th and 11th century, is the fact that between 1089.godine and mid-12th century became an Episcopal center with the cathedral of St. Ivan, and as such was one of the subjects of dispute between Bar and Dubrovnik archbishopric. 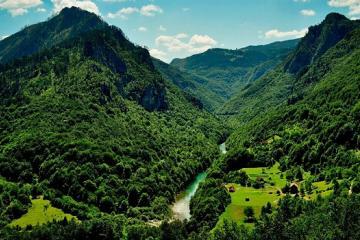 In addition to Raška, the first Slovenian center of the Serbian state in the 11thcentury forms as Zeta, a former Dioklion (Duklja) which was the area of ​​the old Roman province Prevails within there was Budva as well. The Crusades (1096) have passed through here and camped. 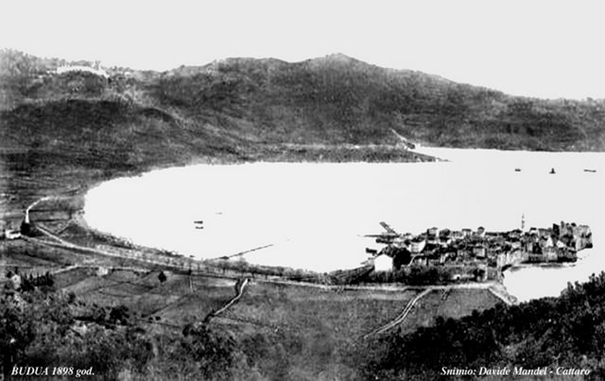 Between 1184 and 1186, the city fell under Nemanjić dynasty and remain within it up to the mid-14th century, when it passes into the hands of Balšića. 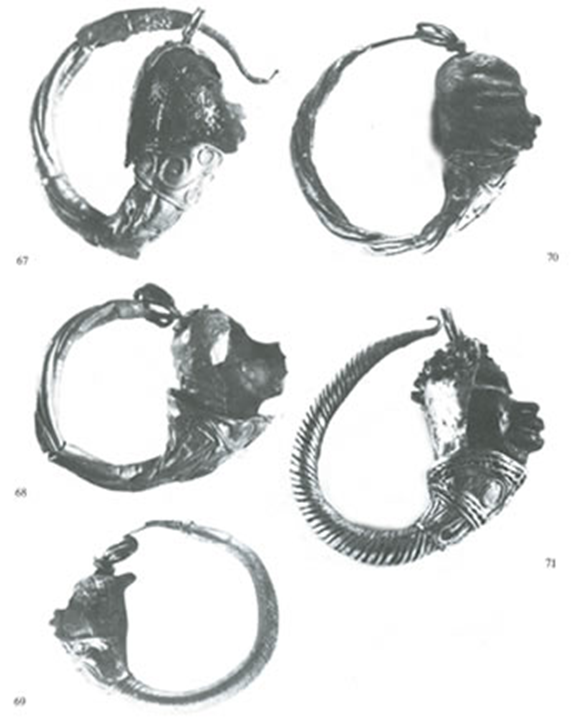 During the reign of Emperor Dušan (the first half. 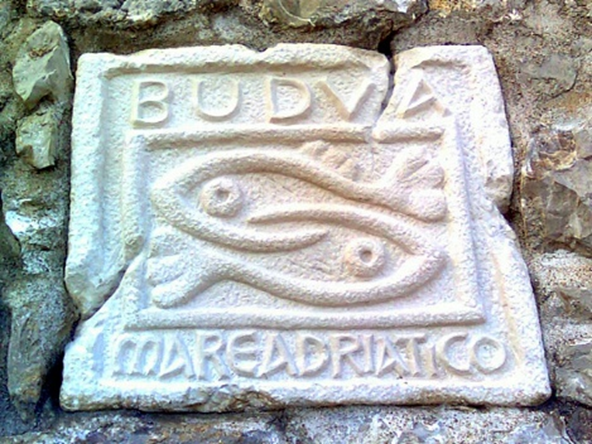 14th century), a "Statute of the Town of Budva" has been put to act, as the first piece of legislation which gave Budva certain autonomy. 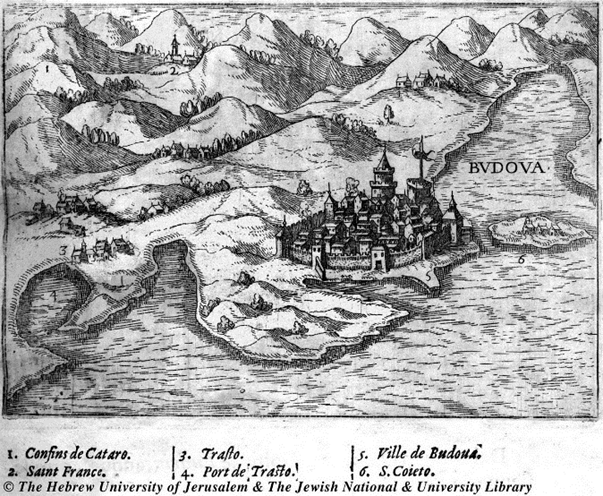 In the second half of the 15th century Budva briefly manage first Balšići, then Radić Crnojević, Sandalj Hranić and, finally, Đurđe Straćimirović. 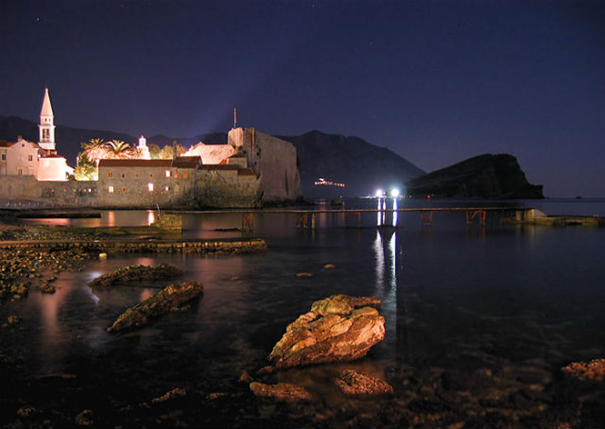 After the death of Đurđa Straćimirović, Budva fells into the hands of the Venetians, who then in 1403 ceded it to Montenegrin ruler Balša III, under whose administration (with brief interruptions) Budva stays until 1419, when the city was again taken over by the Venetians. 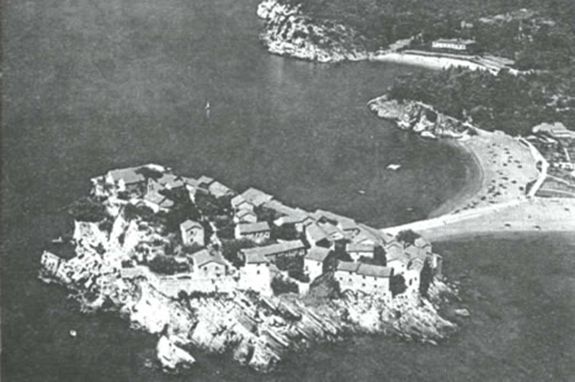 During their reign Old Town of Budva gained todays appearance. Fall of the Republic of Venice in 1797 placed Budva in occupation of Austria, and then, from 1806 to 1807, this city was controlled by the Russian-Montenegrin government, and between 1807 and 1813 came under French occupation, and then, again, under Austrian, under which it remained until 1918, when it frees Serbian and Montenegrin army. 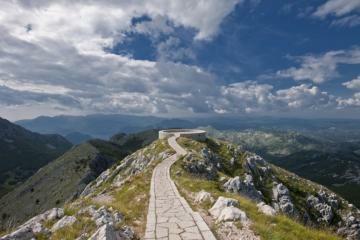 World War II concerns many victims from this region in the fighting against the fascist invaders. 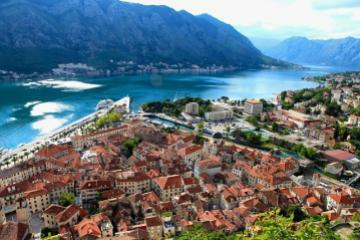 Finally, on 22 November 1944, at the same date, both Kotor and Budva become permanently liberated.